The apps below are particularly useful for elementary students but they can also be used with other age groups. Elementary teachers often complain about the paucity of apps that are kids appropriate compared with apps for other age groups. So we thought it would be useful to create a section in this blog devoted entirely to apps specifically curated for elementary teachers. 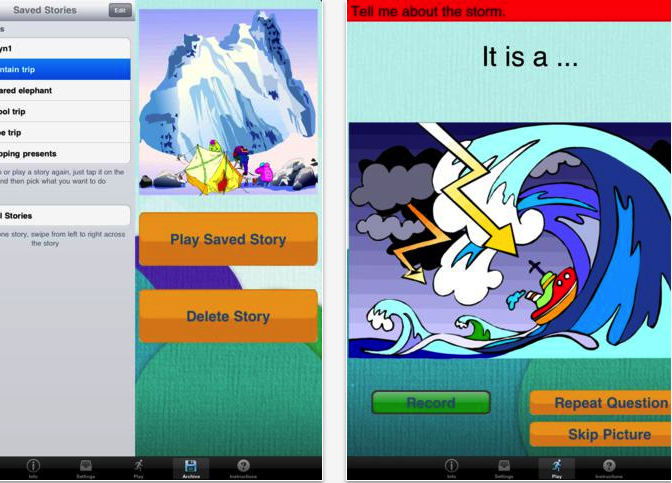 After we have covered math and writing apps, today’s post features some very good iPad storytelling apps to use with young kids. You can use these apps to help kids develop a wide range of basic literacy skills that include: writing, reading and speaking. "With Story Creator you can easily create beautiful story books containing photos, videos, text, and audio all in one gorgeous collection. 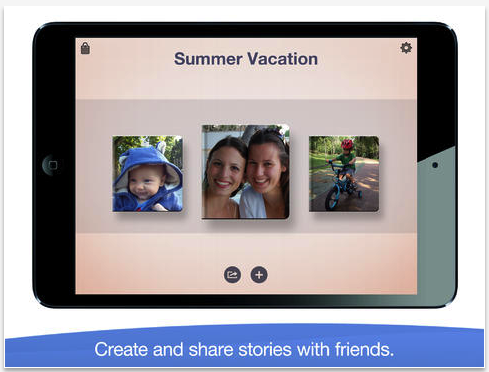 Story Creator truly brings your best stories to life and easily allows you to retell and share your most memorable moments." 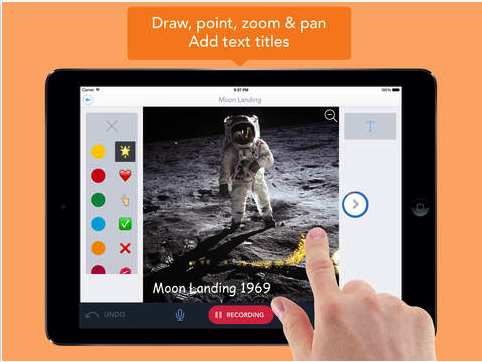 "Easily create videos in the classroom! Students as young as five can make videos to tell stories, explain ideas, or document their learning. 30+ lesson ideas supporting Common Core make it easy to get started!" 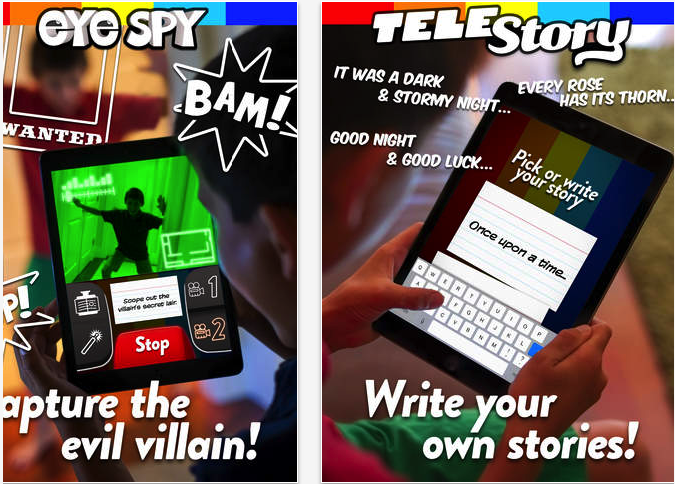 "From the creators of Toontastic (iTunes Hall of Fame, NY Times "Top 10 iPad Apps"), TeleStory takes you behind the scenes to create and broadcast your own TV show! Record a music video, teleport to an alien planet, film a high-speed-chase, or perform on a reality TV show - TeleStory is a TV studio in your pocket." 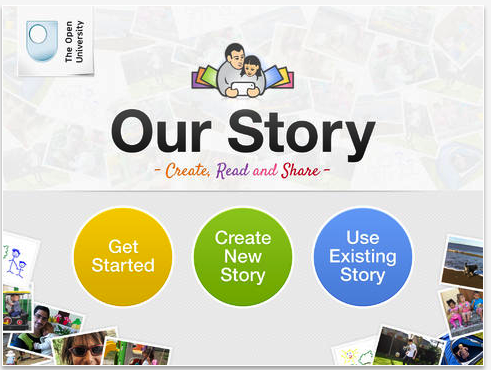 "Story Builder is designed to help children accomplish the following educational goals: 1) Improve paragraph formation; 2) Improve integration of ideas; and 3) Improve higher level abstractions by inference. Extensive use of audio clips promotes improved auditory processing for special needs children with autism spectrum disorders or sensory processing disorders." "Reading, even in the digital age, is probably one of the most important skills that children acquire. It can be an important source of pleasure which also develops vital language and social skills. It is fundamental to most school activities, it can also open up new worlds and give access to the wealth of human knowledge."